I have noticed that when you get a dog and you are out walking said dog, complete strangers have no qualms about coming up to you and having a chat. It also doesn't help that Ziggy-Stardust is quite pretty and often people just stop us to tell me how beautiful SHE is (Poor thing... it is not his fault he looks so feminine!). Getting a dog has also been a really good way of meeting the people in my local neighbourhood, as before Ziggy we only really knew a very small handful of our neighbours. We live near a big park where a lot of people walk their dogs. Somehow we have joined what I call a 'Mothers Group'. 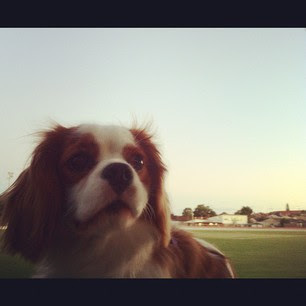 It consists of a group of people who meet up after work and catch up while their dogs go mad playing with each other. This group is made up of people from all walks of life and I feel that I am starting to make some great 'new' friends. My 'new' friends and I decided that it would be a great idea to meet up on a sunny Sunday afternoon with some wine and food and have a picnic in the park while our dogs played. We have done this twice now and both times we have gotten very tipsy and really enjoyed each others company. For the last picnic I made my mums 'Bacon and Cheese Rolls', something she has made to bring to picnics for as long as I can remember. These rolls were an amazing success at the dog picnic, so I thought I would share with you the recipe, as I said I would for #54 of the Life List. 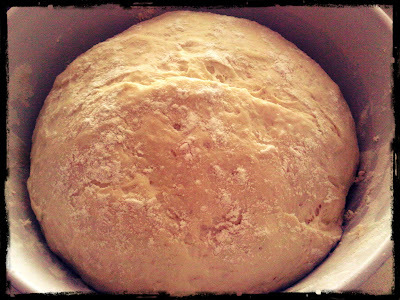 (I based this on Jamie Oliver's 'Basic Bread Dough Recipe from 'Happy Days with the Naked Chef'). 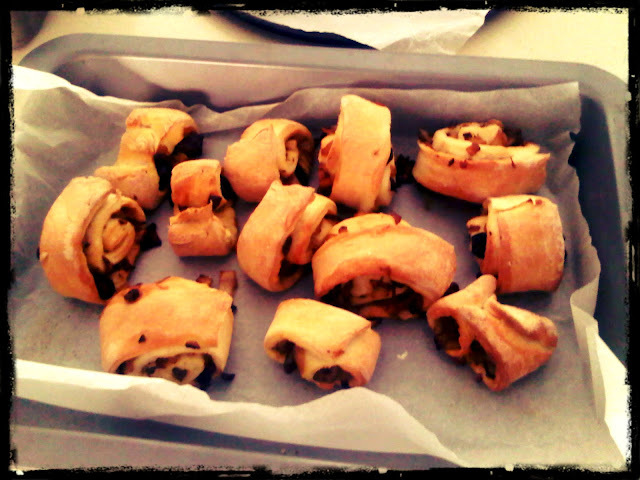 I did 2 flavours - Bacon and Cheese and Olive and Rosemary. You can do any flavour combination you wish. Meanwhile, put the flour in a large mixing bowl and make a well in the centre of the flour. Pour in half the water in the well and then add the yeast, sugar and salt and stir with a fork. Slowly bring in the flour to the centre and combine the ingredients together. The flour should start feeling like rolled oats. Add the remainder of your water. Continue to mix until is starts getting sticky. 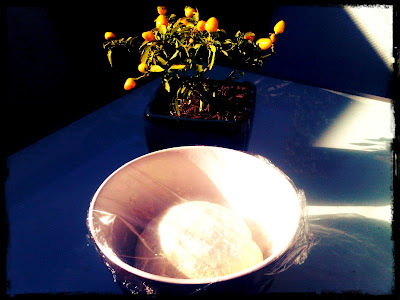 Flour your hands and turn the dough out onto a clean work surface. Continue mixing. If you feel the dough isn't coming together add some more water or flour. 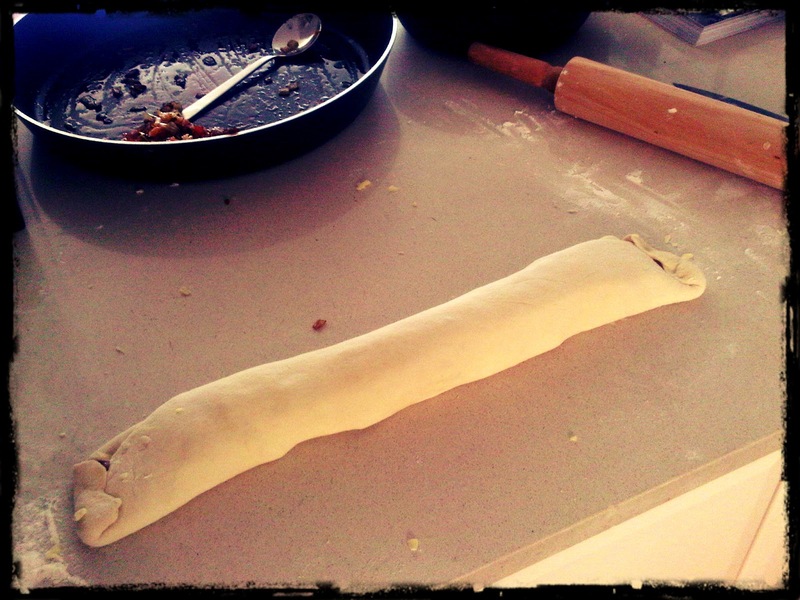 Continue needing the dough for 5 minutes, where you should get a silky and elastic dough (see photo below). Once you have this, shape the dough into a ball and place it back into the mixing bowl. Cover with cling film and allow it to prove for a about 30 minutes, or until it has doubled in size. ﻿ ﻿While the dough is proving, start to make your fillings. Finely chop the onions and bacon and add to a pan with a little olive oil. 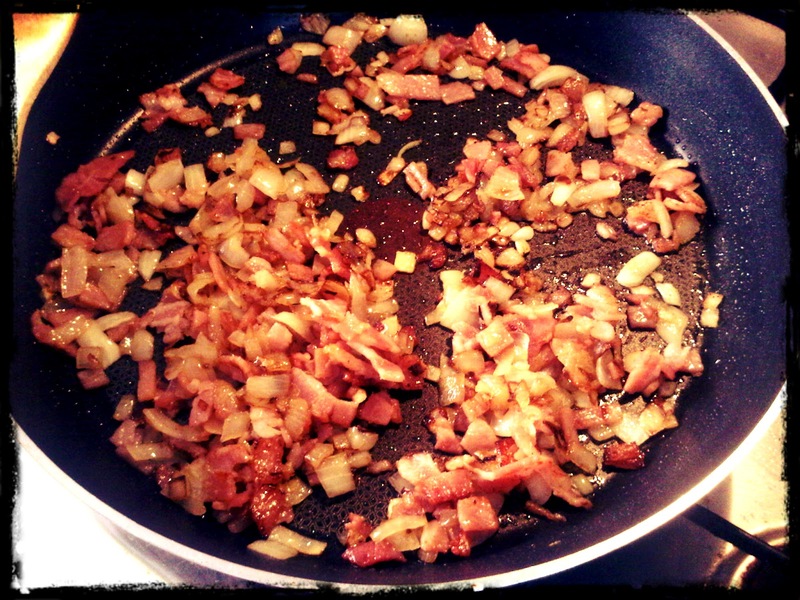 Fry over a medium heat until the onions are translucent and the bacon crispy. Take off the stove to cool. Finely chop the onion and add to a pan with a little olive oil. Fry over a medium heat until the onions are translucent. 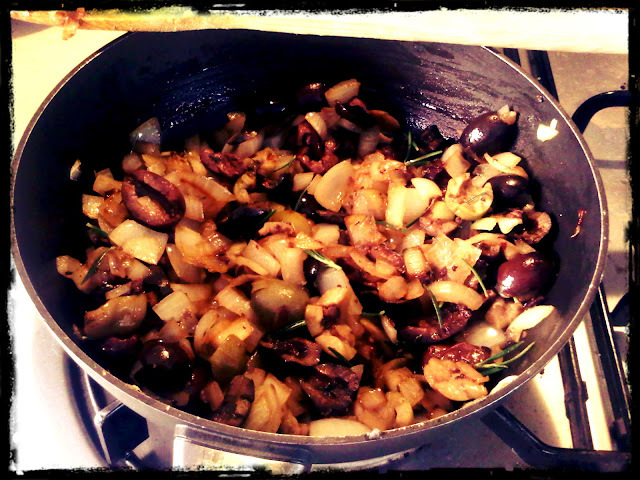 Add the chopped pitted olives and the rosemary leaves. Warm through. The dough now should have doubled in size. Take the dough out of the bowl and cut into 4 portions. 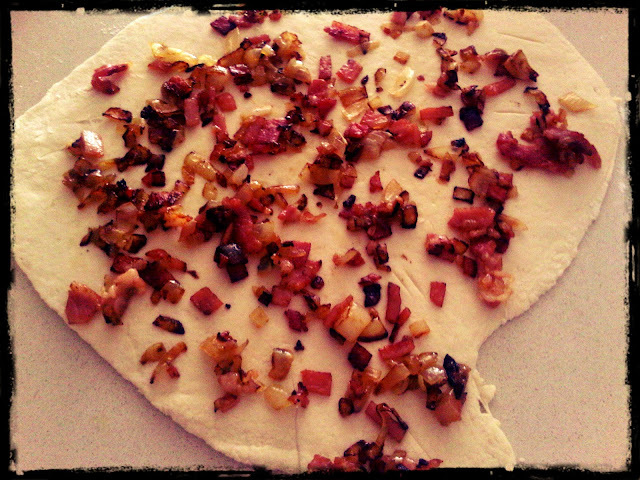 Roll out a portion of the dough with a rolling pin until it is quite thin and resembles a pizza base. 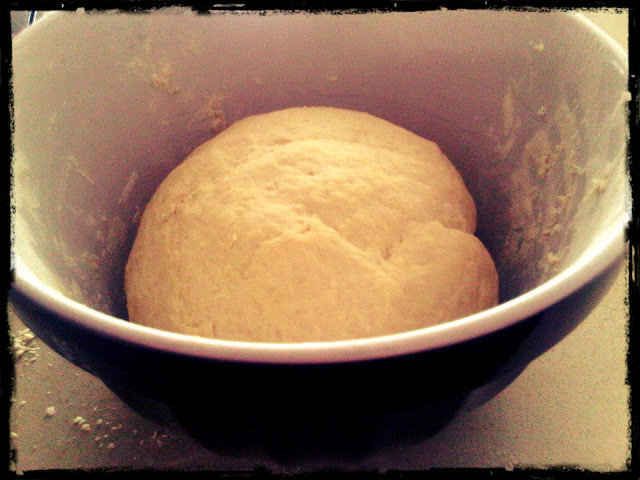 Now add half of your filling onto the base, and make sure you spread it out over the entire dough. Add the cheese over the toppings. Once you have done this, pull the dough and roll up over the filling so you make a long snail like scroll. The end result should look like a long sausage. Tuck the ends of the sausage in, so no filling escapes. 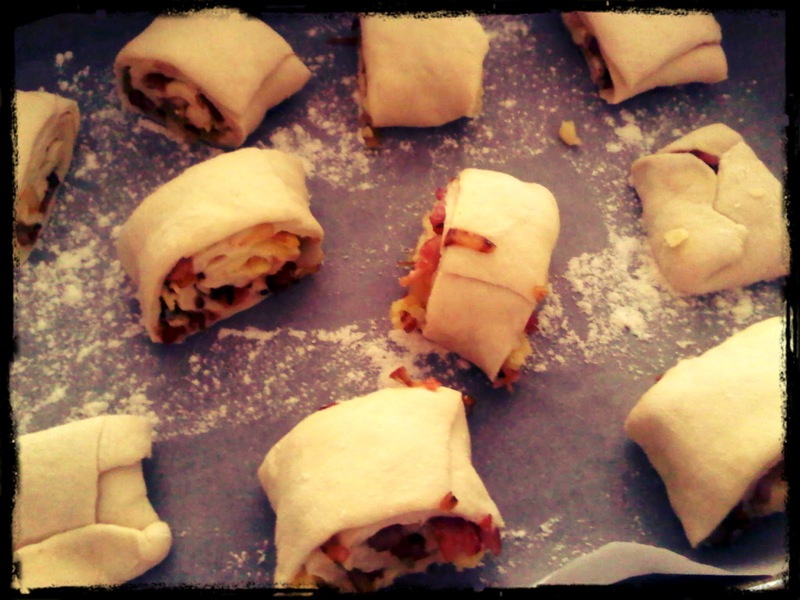 Repeat for the other portions of dough and fillings. Using a floured knife, cut the dough into 8-10 portions. Place gently onto a tray with baking paper and flour. Let the dough prove again for about 30 minutes. Add to the oven and bake for about 20 minutes or until the scrolls are golden brown. These scrolls are also great for breakfast or an afternoon snack. As I have said before, this is a not a food blog, so please excuse the un-styled and unprofessional photos! thank you for following Carole's Chatter. I am now following your blog too.